Compression Class I (18-21 mm Hg). • Dense structure of the product excellently supports the varicose veins. 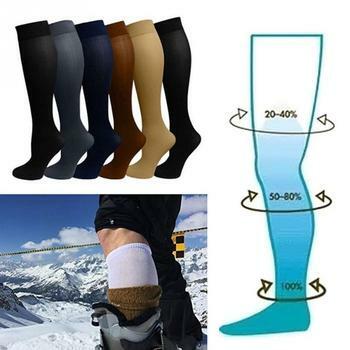 • Optimal compression increases blood flow during a long flight and prevents swelling. • Flat seams secure comfort when worn. • The heel zone is strengthened additionally that extends the service life of the products. • Compression level of the product is set in strict compliance with medical requirements. • Protection of veins during traveling or sporting. • Lower limb varicose veins. • Varicose veins during pregnancy.